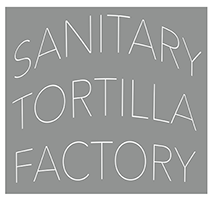 The Sanitary Tortilla Factory is pleased to announce a collection of queer photographers and queer subject matters that expand the ideas of identity, politics and image-making. Queering the Lens is an exhibition of photographic based works that stretch the dominant norms of the contemporary categories of photography. The exhibition is not a collection of specific sexual identities but of the act of looking at the world itself. The works selected for this exhibition create an opportunity to posit the viewer in a context of queerness. The layered disruption of both subject and artifact create moments of subjectivity where queerness can dismantle labels while creating open ended inquiry. Queering the Lens is part of the PhotoSummer exhibition program and is co-curated by Jessamyn Lovell & Sheri Crider.